As long speculated, finally Samsung has pulled out of the hat which will be the second generation of its famous hybrid smartphone-tablet, the rumored Samsung Galaxy Note 2. The presentation is taking place in Berlin right now in one of the preliminaries of the IFA 2012. Just as its predecessor, it is a device that stands out for its amazing display that is halfway between a phone and a tablet. But if the original model and surprised by this feature, this time Samsung has sought to approach the limit and has expanded to 5.5-inch panel. Still maintaining the same resolution HD (1280 x 720) and improved important aspects such as the battery or processor-which is now quad core. We do a thorough analysis of all its features below. 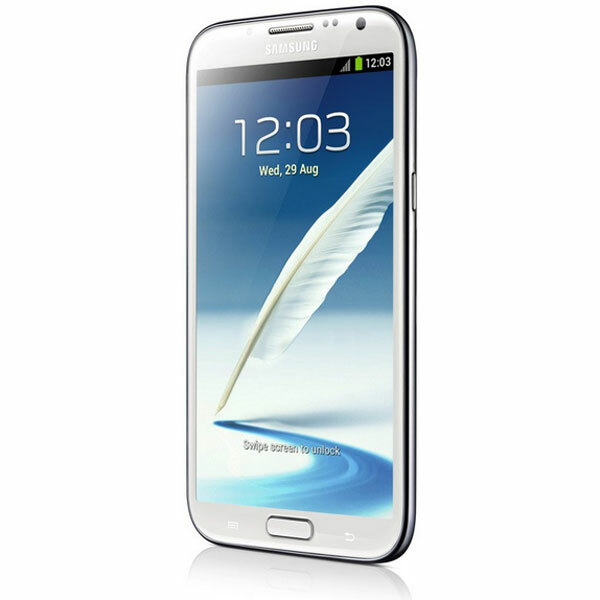 With the Samsung Galaxy S3 Korean company introduced a new line of design that is also present in the Samsung Galaxy Note 2. This is a sleek and smooth, with very rounded edges that has taken inspiration from nature, something that we also find in the user interface. 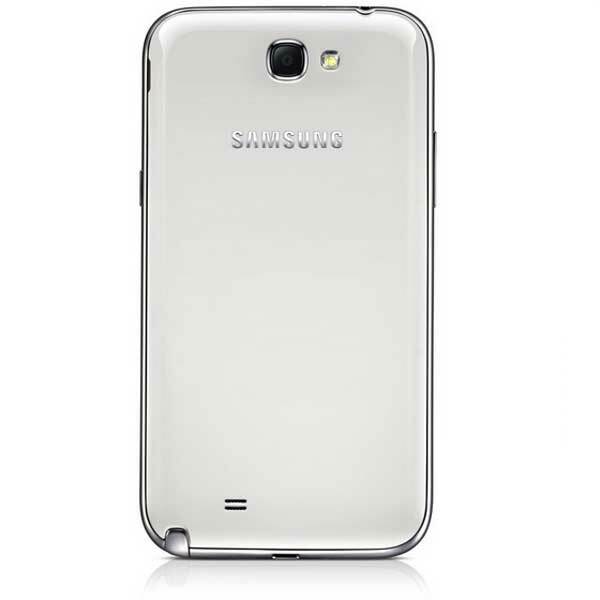 The new Samsung Galaxy Note 2 will also be available in two colors-in this case white and gray - even is made ​​with the same materials so it seems a kind of giant Samsung Galaxy S3 although not as rounded edges. It is lighter and thinner than the original model, in particular has a thickness of 9.4 mm and weighs 180 grams, giving it a more stylized. Besides the appearance of the device itself, Samsung has also redesigned the stylus included in this model. The new S Pen is longer and thicker for a more ergonomic grip, and is coated with a non-skid rubber type. But that's not all, the stylus of Samsung Galaxy Note 2 has improved its accuracy, is pressure sensitive and has a button that will serve to activate certain functions. The rumors of the past few weeks they were right, we can finally confirm that the Samsung Galaxy Note 2 still has a larger screen than the previous model, no less than 5.5 inches. The panel is made ​​of Super AMOLED HD technology battery saving, is very bright and vivid color reproduction. The HD resolution (1,280 x 720 pixels) ensures crisp, sharp images. Also the 16:9 widescreen is perfect to watch movies. No wonder that a mobile on the size of Samsung Galaxy Note 2 provides multiple connections for users to enjoy all the features offered. Undoubtedly the most notable is the presence of an LTE chip that enables users to access Internet at a maximum speed of no less than 100 Mbps In countries which have not implemented the LTE or 4G, as in the case of Spain, users can enjoy sailing at a speed of 21 Mbps using the system HSPA +, or what is the same, 3G mobile networks. course also be surfing over Wi-Fi, provided there is an access point in our reach. The Samsung Galaxy Note 2 also features the Wi-Fi Direct, this system allows the connection between multiple devices via Wi-Fi with no need for an intermediate link as a router. With this technology the data transfer speed is faster. To conclude the section on wireless connections could not miss the port Bluetooth 4.0, GPS connection and NFC chip. As for the physical connections or cables, the Samsung Galaxy Note 2 equips a microUSB 2.0 port that supports MHL, this means that with a special cable can launch a high-definition signal eg to see photos or videos on your TV the room. The MicroUSB also used to charge the battery and transfer data to your computer. Finally, how could it be otherwise, integrates a headphone jack or speakers 3.5 mm. We continue to see similarities with the Samsung Galaxy S3 in the photographic section is that the new Galaxy Note 2 equips the same sensor as its little brother, and shares some functions. This is an eight-megapixel backlit sensor, this technology eliminates the layers between the lens and the photoresist to seize as much light as possible, so we will have quality images even in low-light also has a mode Shooting for this type of situation called Low Light Shot. The camera also records videos with HD resolution (1,920 x 1,080 pixels) and has essential features like autofocus, LED flash and geo-tagging of images. It also integrates a front camera for video calls with resolution of 1.9 megapixels. 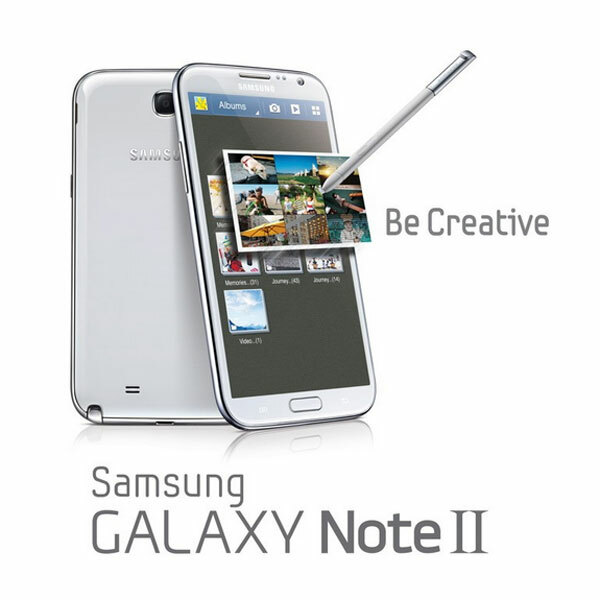 As mentioned, the Samsung Galaxy Note 2 comes with some features that we saw in the presentation of the Galaxy S3. To start function can be activated Shot Burst burst shooting with very short intervals thanks to the speed of the camera. Best Photo is another feature with this mobile system will automatically select the best photo of a series of eight images so that we do not even have to bother to choose it ourselves. Also included is a feature unique to this model, it is Best Faces, a system to select faces or pose in a group photo in order to create a composite from multiple images. Support for multiple formats of audio, video and image is something necessary in a smartphone and the Samsung Galaxy Note 2 would not be outdone, the terminal plays smoothly almost any file type. Examples of formats are MP3, WMA, AAC, eAAC +, MPEG4, DivX, MKV, AVI, or FLV. Samsung definitely has the jump to quad-core processors, specifically for this model operates at a frequency of no less than 1.6 gigahertz and is supported by two Gb of RAM. Thanks to these two components the user can enjoy a very fast performance especially be noticeable to squeeze all the potential graph games or HD videos. 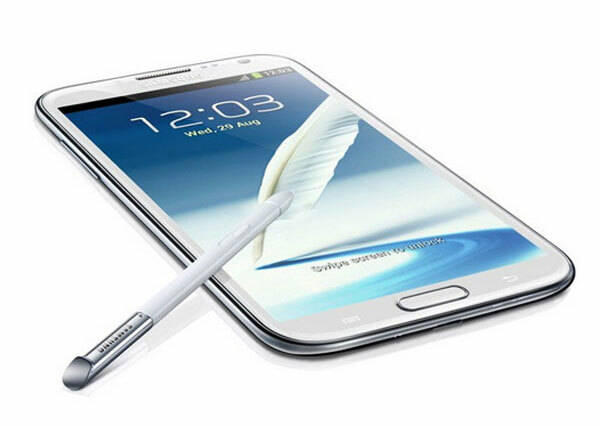 The Samsung Galaxy Note 2 will be available in three versions depending on storage capacity, a choice of 16, 32, or 64 GB also allows memory expansion with microSD cards up to 64 GB, which is not bad. For example if we have the 64GB model and extended with a maximum capacity MicroSD have no less than 128 GB to store data on the phone, all pocket hard drive. The operating system version has been talking in recent weeks. At first it was thought that the manufacturer would launch with Android 4.0 and later update. Samsung finally have managed to come out of the factory with Android 4.1 Jelly Bean. This release includes enhancements interesting as Butter Project (which greatly improves performance by making it more fluid), the wizard Google Now, new notifications pop functions or customizable widgets. Lately Samsung is giving much importance to the software features integrated into their products in order to stand out from competitors using proprietary systems. 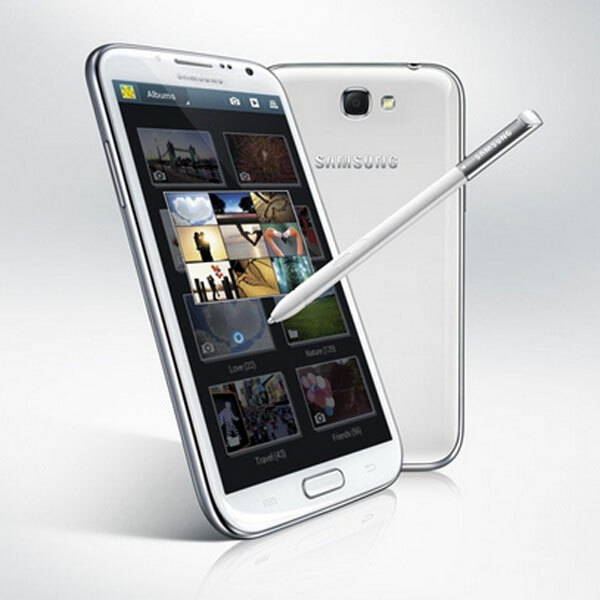 In the case of Samsung Galaxy Note many of these new features are related to the S Pen stylus. A clear example is Air View, this system allows you to preview content (email, S Planner, photographs, videos ...) just hanging above pencil without touching the screen while you press the button on the S Pen, so we can explore the content without opening the particular file you're viewing. The terminal also integrates a pair of true multitasking services. 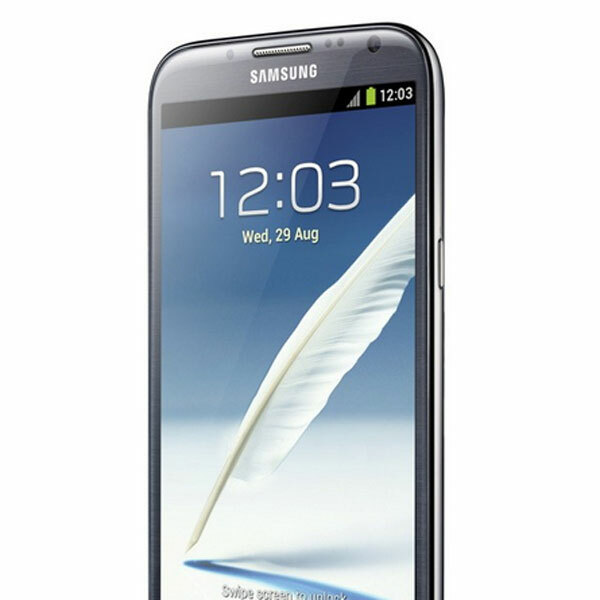 One of them we saw in the presentation of the Samsung Galaxy S3. Of course we mean PopUp Play, a system to watch videos in a small floating window while performing any task such as writing a message. Now Samsung has adapted this concept to Note 2 with PopUp Galaxy Note, is basically the same system but instead of taking a video allows us to take notes. Other features unique to this model is Quick Command, with it we can set shortcut methods to make calls, write messages or open a specific application. Simply slide the screen up with pen button pressed to activate. But that is not all, with the Samsung Galaxy Note 2 will also be able to record everything that happens on the screen with Screen Recorder, like taking the screenshot concept to a new level. Finally also highlights the application S Beam, very useful to quickly share files with other phones via Wi-Fi Direct and NFC. We got to the last section of this analysis, the battery. A terminal of its kind, with a big screen and quad-core processor, undoubtedly requires a battery with high capacity for the duration is acceptable. Samsung did not want to catch your fingers and has opted for a battery of no less than 3100 milliamps . Yet at the moment there is no information on runtime so you can not go into details. Samsung has announced that the handset will go on sale in Europe during the month of October, at the moment have no clues about the price that will free form. The Samsung Galaxy Note 2 is a worthy successor to the first model that keeps the same spirit tablet smartphone mix, but much improved. The new stylus is one of the most important news, thanks to this accessory and dedicated applications users can take advantage of the terminal. 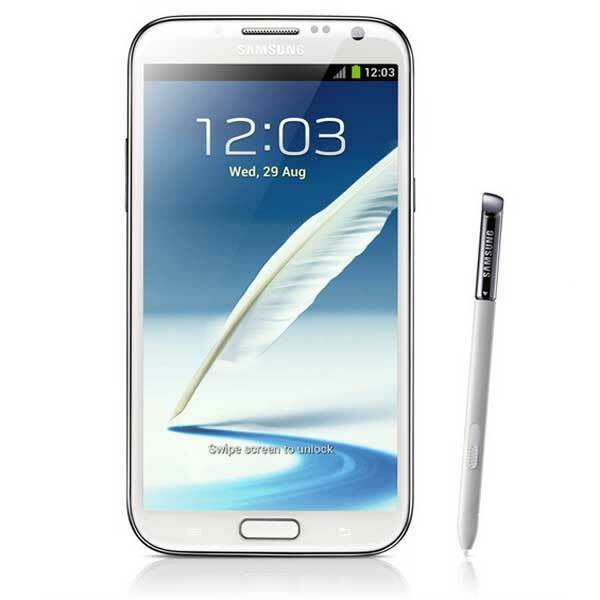 The software features take center stage and all of the presentation will be what really makes the Samsung Galaxy Note 2 useful and practical device. 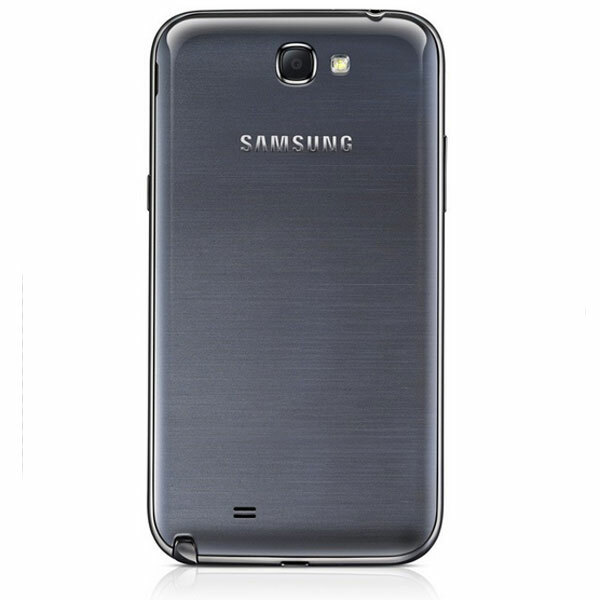 Has also been a great a success have chosen a design line and also Samsung Galaxy S3 They've made ​​it very thin despite a battery fitted as wide. Ultimately the terminal falls short of the expectations and even surpassed in some points. The only downside is that you are missing the voice assistant Voice S present in the Samsung Galaxy S3. Supported formats: MP4, DivX, XviD, MKV, WMV, H.264, H.263, MP3, WAV, eAAC +, AC3, FLAC.